BugPellent Fly and Tick Gel is a unique, non-greasy water based gel made with natural essential oils that provide highly effective insect repellency on areas where fly spray application is not advised -- around face, chin, poll and neck. Dogs: Apply starting at the head and moving towards the tail. Avoid the mouth, eyes and mucous membranes. Repeat application daily or as needed. Wash hands following use. Horses and Ponies: Brush to remove dust and dirt prior to use. Apply liberally over areas to be treated, avoiding eyes and mucous membranes. Special attention should be given to the face, ears, poll, chin, sheath, groin and neck. Apply liberally to the coronet band and pastern. Repeat treatment on a daily basis or as needed. Wash hands following application. CAUTION: Use only as directed. For external use only. Avoid contact with eyes and mucous membranes. Do not apply to wounds or damaged skin. Keep out of reach of children. Consult veterinarian before use on animals less than 6 months of age. If skin irritation results from the use of this product, or if symptoms persist for more than 7 days, discontinue use. For animal use only. Use of this product is not intended to replace a veterinary exam, nor does it replace the need for veterinarian assistance. 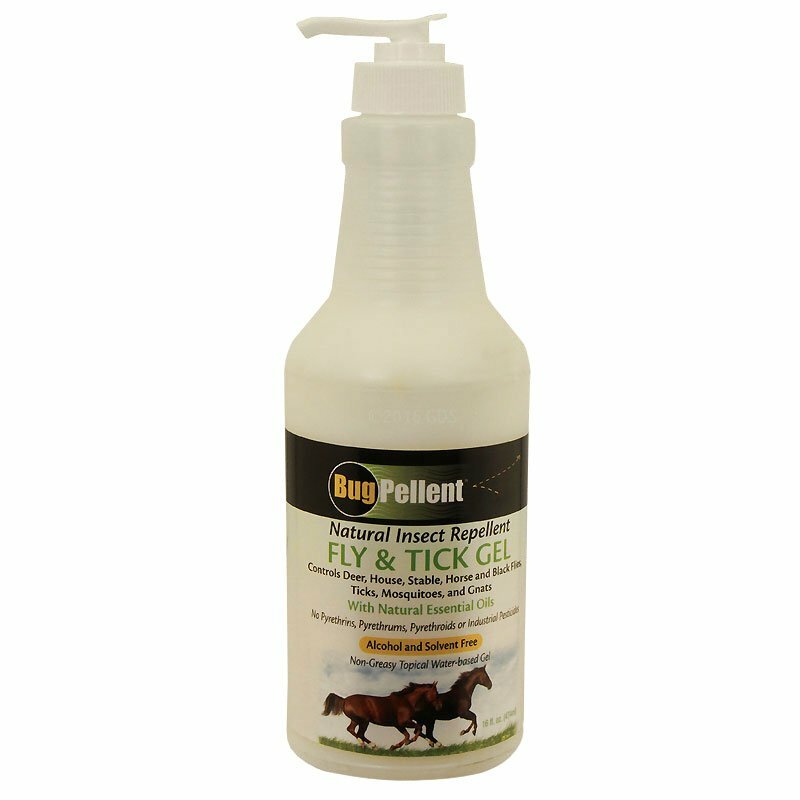 Bugpellent Fly and Tick Spray -- 32 oz.